When The Home Depot was founded in 1978, Bernie Marcus and Arthur Blank had no idea how revolutionary this new “hardware store” would be for home improvement and the retail industry. Today, The Home Depot is the world’s largest home improvement retailer. In more than 2,200 stores across North America. GreenbergFarrow has been providing architecture, engineering and site development services for The Home Depot since the chain’s founding. 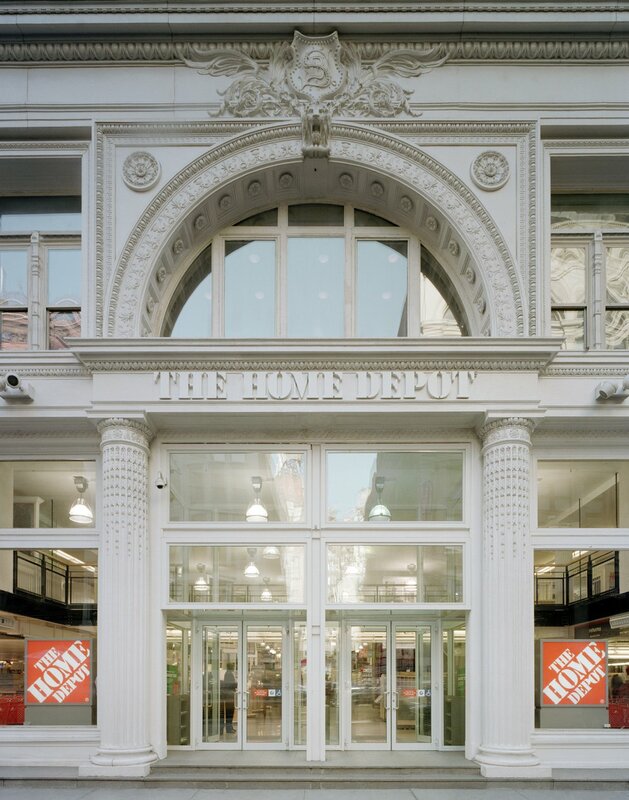 As the prototype architect, GreenbergFarrow developed the design standards for The Home Depot’s roll-out program, which the firm then site-adapted for hundreds of store locations throughout the United States. 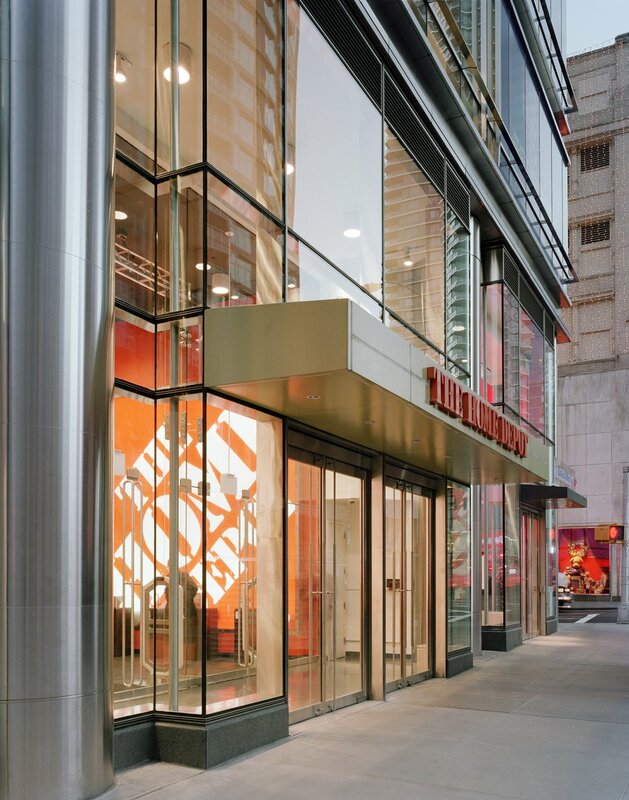 GreenbergFarrow has been a key partner in Home Depot’s expansion into high density urban markets, including the design of the chain’s two Manhattan locations. In addition, GreenbergFarrow provides site development services to identify and qualify each store’s location for development, as well as attain compliance with all local regulatory agencies’ requirements. Since the early 1990's, GreenbergFarrow's Structural Engineering team has been part of The Home Depot's emergency response efforts. Over the years, Home Depot's response team has grown from a small unorganized group to a well-organized structured service that includes Engineers and Contractors with annual coordination/preparation meetings. The role of the emergency responders is to get The Home Depot stores open and operable after a natural disaster or major incident. This is an important role as The Home Depot stores serve FEMA, local responders, and communities with tools and goods that help with their repair and recovery efforts. The Home Depot prides itself on being part of the community, and their motto is "the last to close and first to open" during times of disaster. Over the years, GreenbergFarrow has responded to all forms of natural disasters from hurricanes, floods, and tornadoes to massive snow storms. The Firm has provided services for some familiar named disasters; such as Andrew, Charly, Matthew, Opal, Isabel, Isaac, Ivan Floyd, Katrina, Rita, Sandy, Wilma and more. Most recently, GreenbergFarrow's Structural Engineering team responded to Texas after Hurricane Harvey, as well as Florida and St. Thomas after hurricane Irma. We also have consultants in Puerto Rico for Hurricane Maria.